French hooded police officers guarded the area with other police officers after a knife attack Thursday in Trappes, west of Paris. 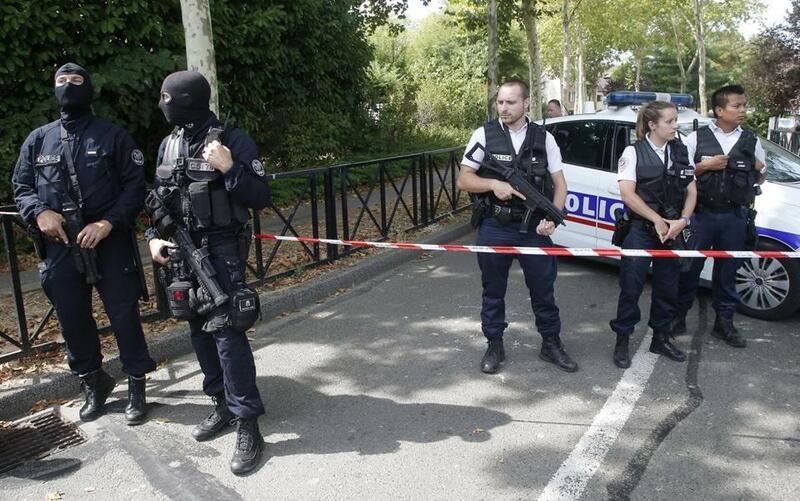 PARIS — A man with severe psychiatric problems killed his mother and sister and seriously injured another woman in a knife attack Thursday in a suburb of Paris. Leicester and Lori Hinnant contributed from Paris.